Global smartphone sales are down (and unlikely to bounce back in the next few quarters), impacting the bottom line of both Apple and Samsung while Huawei somehow continues to defy market trends. 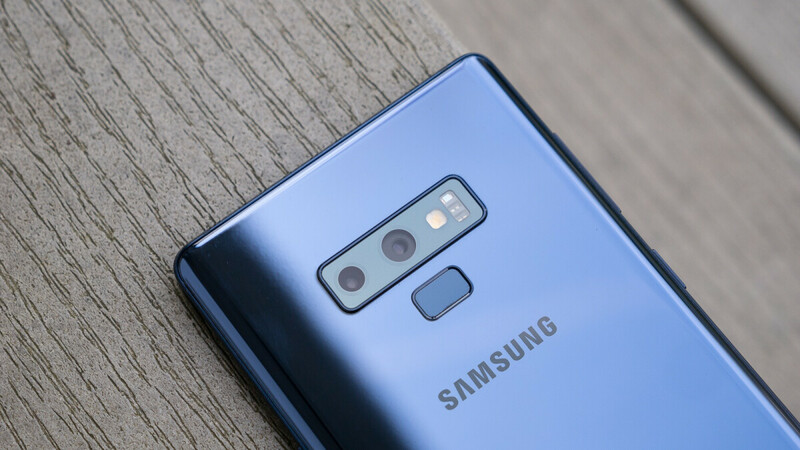 The final three months of 2018 have been particularly problematic for Samsung, as the mediocre performance of the chaebol’s mobile division could no longer be offset by the semiconductor business. That’s because demand for memory chips is also sliding, a trend likely to continue in the early stages of 2019. All in all, Samsung did manage to generate a solid Q4 2018 operating profit of 10.8 trillion won ($9.7 billion), which contributed to a new record-breaking yearly result of around $52.7 billion. But both fourth-quarter sales and profits were down substantially year-on-year, as well as quarter-on-quarter. Typically, the holiday season is the most lucrative period (especially for consumer-oriented businesses), but Samsung’s smartphones, chips, and displays seriously struggled this October - December timeframe. In fact, the IT & Mobile Communications Division (IM) recorded its lowest scores in more than two years. Specifically, an operating profit of $1.35 billion or so on the back of $20.8 billion consolidated revenue. That’s lower than the division’s Q4 2017 and Q3 2018 results, and believe it or not, it’s lower than Q4 2016 and Q1 2017 results as well. Naturally, Samsung blamed this decline primarily on a “sluggish smartphone market overall”, claiming “seasonal demand” was pretty much as “strong” as always. But just like Apple, it’s obvious the company has a China problem it needs to tackle ASAP. Also, a mid-range problem and a lack of innovation in the high-end segment problem. For the entire year, Samsung smartphone shipments are forecasted to remain largely flat, with ASP (average selling prices) likely to go up thanks to a “trend toward adopting high-end features such as large screens, higher memory capacity, and multi-cameras.” That means mobile division profits should surge as well, but it’s far too early to take that prediction very seriously. Actually, 200$ android phones are awesome now. Xiaomi's redmi note 7 and Samsung m20 are great phones not just at 200 but at any price. 2 years ago these phone would have cost at least 500 Buck. Wait for redmi note 7 pro, it will be another stab at the back for samsung. I'm guessing xiaomi will sell the 64gb version for $190. If they really able to sale it at that price then most people will buy the xiaomi for sure. Pro will have far better looks and camera. And they said redmi note 7 pro will have the true, 48mp sony sensor, not the interpolated samsung cam. Oh well, let's see how samsung will compete with them. @peachboy chinese phones are getting cheaper, better and creative each year that's why most people look at their line up more than samsung and sony's. Lg already closed their philippine mobile division so that's a sign that the big boys should adapt their business plans. You might want to keep going down through the articles, you'll be shocked to see who's profits and sales are suffering as well. True. Predicting that Samsung high end phones will continue to sell well even though they raise the price is just bs. Samsung is not equal to Apple and they never will be, their sales will just fall if they raise prices. 3 reasons like what's happening to apple: - Affordable hinese phones - Minimal improvements for huge price difference -$1000+ price tags Samsung must wow us with the new S10 series and upcoming mid-rangers or the chinese rising dragons will do the market killing for 2019. I hope they keep on suffering until they realize that charging a 1000 dollars for a smartphone is just insane. I don't think smartphone price at the flagship level will go down, only its sales. Also I hate to think that people categorize OP6T the best bang for your buck phone. Outside of NA and Europe, it's seen as having a flagship price. The best bang for buck phone would be the Xiaomi P1 and Redmi Note 7. Love the 6T, but I wouldn't think twice about getting the Mi Mix 3 over it. Excellent news. This will keep their feet on the ground regarding the S10 lineup pricing. Samsung needs to take the mid range market seriously. The M series looks promising and they need lower the price at competitive levels. Also they need to resume aggressive marketing too. As long as Samsung continues with these glass sandwiches with extremely fragile curved edges, it will continue to lose market share. What a crazy man who spends a fortune on a smartphone for, in a single drop shatter all the glass, front and back. Samsung would also have to revise its prices, which are too high. Your comment applies to most premium flagship phones not just Samsung. Here's a tip. Take care of your phone. The matter talks about Samsung, not other manufacturers. Name me few flagship devices that it's back is made of aluminum? The report don't specific if is flagship or not. You need to work more on your deflecting skills, because you mentioned "spend fortune" in your original post, so you obviously wasn't talking about Samsung's budget phones. Another big mistake that Samsung made was to abandon the superamoled, its big differential, by the LCD. And another mistake: to have joined the notch, which she despised so much at first.Sammy''s missing consistency. Wallets are speaking, Samsung give better phones for consumers. Tell us a story about the big bad fandroids commenting on Apple articles, Uncle Midan! I saw this coming with Samsung 4 years ago. After all Android = choice. When choice is involved you have competition. Once competition is comprised you have marketshare erosion. marketshare erosion = everyone is the same, but different label and price consciousness. This all equals dog eat dog within the Android world. Perhaps this will serve as a wake up call for Samsung, as well as others.